MELBOURNE, Fla. – Chester “Chet” E. Dragon, 92, passed away Friday, March 4, 2016, at William Childs Hospice House, Palm Bay. He was born Jan. 22, 1924, in Northampton, Massachusetts, to Julia (Slusars) and Adam Dragon. He lived in Worthington, Massachusetts, before moving to Melbourne, in 1996. Chet graduated from Northampton High School in 1942. He was drafted into the U.S. Army during World War II in January 1944. He was a bugler before being sent to Germany to serve in the infantry. He was a lifelong member of the VFW Post 8006 in Florence, Massachusetts. Chet played trumpet with numerous Polka bands. He became a well-known band leader after forming The Chet Dragon Band. The band recorded many Polka albums and performed in New England, Chicago, Canada, Hawaii, Poland, and on 10 cruise ships. When Chet played in Poland he was interviewed on Polish television. His band backed up Myron Floren of the Lawrence Welk Show in Cape Cod. They appeared several times on Frank Knight’s Polka TV Show. Chet was an officer in the USPA and a director in the IPA. He worked at Howmet and as a salesman for C & I Distributors in Northampton, Massachusetts. In 1971, Chet and his wife Mary Lou began broadcasting “Your Sunday Morning Polka Parade with Chet and Mary Lou” at WREB in Holyoke, Massachusetts. After 20 years they joined WTTT in Amherst, Massachusetts. They retired in 1996. In 1993, Chet was inducted into the Polka Music Hall of Fame in Chicago, Illinois. 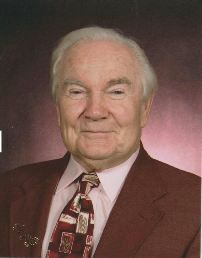 He is survived by his wife of 52 years, the former Mary Lou Osgood; five children, Diane Hathaway (Bob) of Palm Bay, Chester, Jr. of Turners Falls, Massachusetts, Michael (Roger) of Brooksville, Kimberly Karrer (Dave) of Melbourne, and Melissa Moriarty (Dan) of Granby, Massachusetts; 10 grandchildren and four great-grandchildren; his brother Walter (Emily) of Florence, Massachusetts; and several nieces and nephews. The family would like to thank the Indian River Center and the caring staff for Chet’s long term care. Calling hours will be Wednesday from 4 to 6 p.m. and Thursday from 9 to 10 a.m. at the Czelusniak Funeral Home of Northampton, Massachusetts. A funeral service will be held Thursday at 10 a.m. at the Czelusniak Funeral Home. Burial will be in the Spring at North Cemetery in Worthington, Massachusetts. Donations in Chet’s memory may be made to the Brevard Alzheimers Foundation, Inc., c/o The Club, 4676 N. Wickham Road, Melbourne, FL 32935, or Hospice of Health First, 1900 Dairy Road, Melbourne, FL 32901.